Ah, here we go. A category with a clear cut winner. And I know I’ve gone through three of the acting categories pretty early on, but that’s because they’re really easy to predict this year. Actually, the acting categories are easy most years… Anyway, on to the predictions! Ah, the surprise nomination. I’m so glad that Cotillard wasn’t just a one hit wonder with the Academy, and finally got a follow-up nomination to her win in 2007. That said, the fact that she’s already an Oscar winner means the Academy is in no hurry to give her a second award. Plus, how many people have even seen this film? The fact that It’s not playing anywhere near me and the fact that the film didn’t even make the shortlist for Best Foreign Film means that Cotillard will just have to be patient if she wants to win her second Oscar. Oscar Clip: Haven’t seen the movie. While she didn’t get that producing nomination for Gone Girl, Reese has definitely made a comeback. This is simply the type of performance that gets nominations, and Reese knows this. She made the movie wanting a nomination, and she got it. But much like Marion Cotillard, Reese’s big stumbling block is that she already has an Oscar. Does she really need two? Plus, the movie hasn’t really stuck around in Awards season outside of Reese’s performance. The only reason I’m ranking her above Cotillard is because she has Jean Marc Vallée on her side. Before the nominations, I was ready to call Pike a potential spoiler to actually win the Oscar. But then she ended up being the sole representation of her film, which completely missed in every other category. Now I believe that Pike will get votes, due to the fact that she gave the best performance of the year. But the fact is, the film was clearly too disturbing for Academy voters. I would like to point out that only 11 of the 87 previous Best Actress winners have come from films with no other nominations. The most recent instance of this was 2003, with Charlize Theron in Monster. So it doesn’t happen very often, but it does happen. And it’s looking very likely that it’s going to happen this year. It doesn’t really matter how many people have seen her film, or if she’s even good in it. 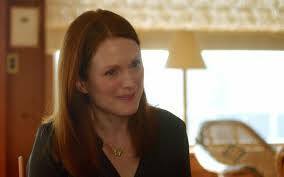 Julianne Moore is beloved by everybody. Her role is extremely baity. She’s won all the guild awards. If she doesn’t win this year, it’s likely she’s never going to win at all. And that is exactly why people will vote or her.